This month sees the launch of a brand new food range at Harvey Nichols – more than 20 years after the luxury brand first unveiled its iconic black and white selection. In stark contrast to the much-copied monochrome collection, the Riot of Colour range is packaged in striking bold coloured boxes and marks a new generation in fashionable food. With more than 80 products available, the sweet and savoury choices have been created to make you feel at your best without compromising on taste – the ingredients and inventive flavour combinations have been developed with wellbeing in mind. The range includes sweet and savoury products, ideal for breakfast, lunch, dinner or snack time. Choose from eight new teas, three oils, great-tasting cereals, rice cakes, reduced sugar jams and marmalades, seed and nut mixes, and biscuits. Delicious highlights include Beauty Tea, made with Hibiscus, rose petals, Chinese white tea, rosehip and lemongrass; Rhubarb, Orange and Ginger with Star Anise Preserve; Paprika and Chilli Grissini; Dark Chocolate with Beetroot; and Honey and Bee Pollen Oat Biscuits. 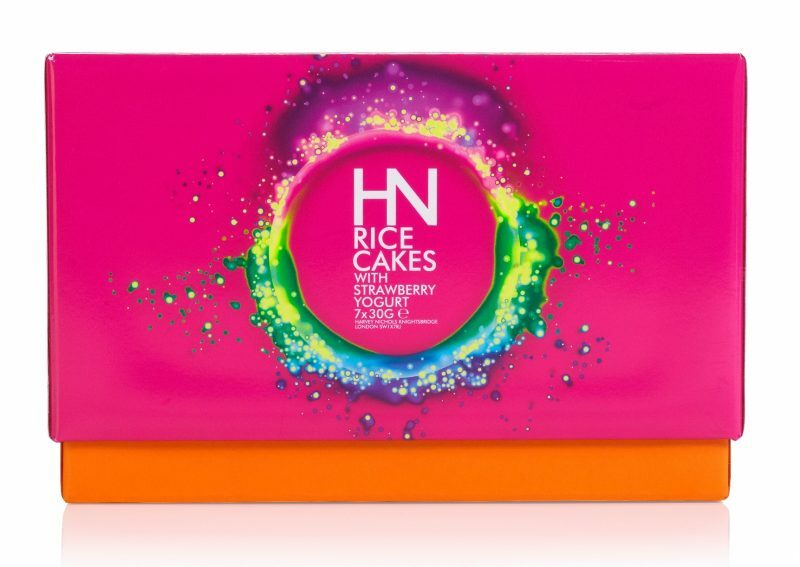 The new Harvey Nichols food range is available now with prices starting from £1.95. The classic black and white selection will still be available.